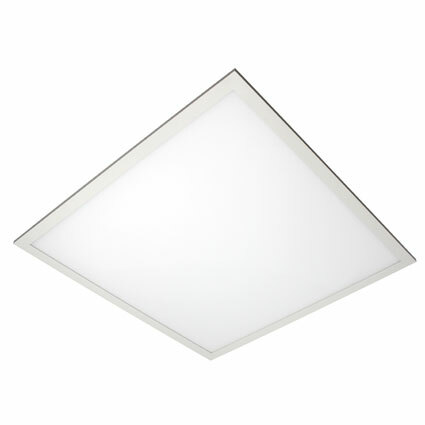 The EVERLINE LED Flat Panel Luminaires are designed for comfort, reliability, controllability, and easy installation. This fixture provides the visual comfort of diffuse lighting and excellent uniformity along with a modern design appeal. The Flat Panels are also equipped with 0-10V dimming LED drivers, require no special "lamp wiring" for controllability and are not susceptible to short lamp-life effects when controlled by frequent switching. The Flat Panel is designed for easy installation with an enclosed wiring compartment on the top-mounted driver, grid hooks and auxiliary suspension points.